How to be human at work. HBR's Emotional Intelligence Series features smart, essential reading on the human side of professional life from the pages ofHarvard Business Review. 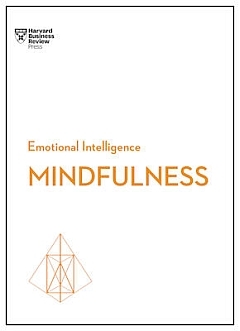 Each book in the series offers proven research showing how our emotions impact our work lives, practical advice for managing difficult people and situations, and inspiring essays on what it means to tend to our emotional well-being at work. Uplifting and practical, these books describe the social skills that are critical for ambitious professionals to master. Harvard Business Review is the leading destination for smart management thinking. Through its flagship magazine, 13 international licensed editions, books from Harvard Business Review Press, and digital content and tools published on HBR.org,Harvard Business Review provides professionals around the world with rigorous insights and best practices to lead themselves and their organizations more effectively and to make a positive impact.